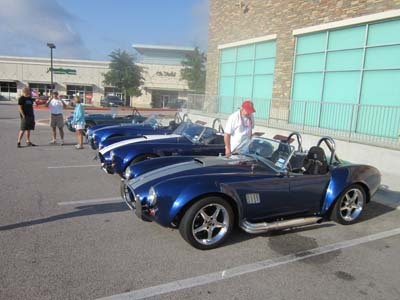 The Texas Cobra Club meet in San Marcos the last weekend in March is becoming a regular event with a growing showcase of Cobras. 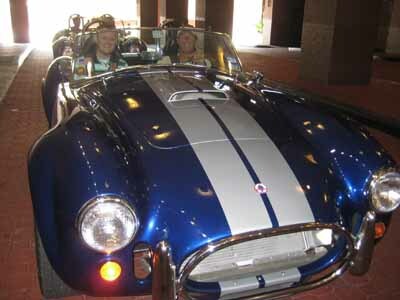 We often launch a road trip from the Spec’s store at 71 and 620. 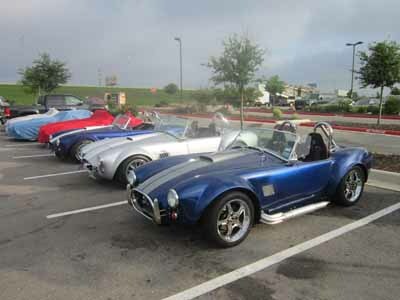 Here we are gathering for another ride, I think we were heading back to the Blue Bonnet Cafe in Marble Falls. Glenn, Skip and I offered to take three lucky guys for a ride on River Road in San Marcos. These guys won this opportunity on a raffel. Glenn, Skip and I would have been the lucky ones if they were babes instead of guys. But it was a great day for a ride and my passenger got a snake bite as he was leaving. Ouch. I now have over 12,000 miles on the car. Zonks!! Where did all that mileage come from? ?